Any heating system that is not centralized, but instead provides radiant heat individually into each room, is usually powered by a boiler. A quality boiler should operate properly and efficiently even during the coldest of winters. 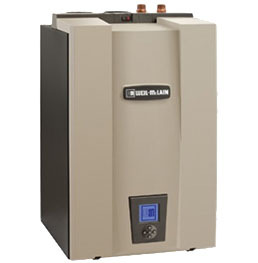 Boilers work through a process called hydronics. The system burns natural gas, oil, propane, or solid-fuel to produce hot water or steam that is then circulated through pipes to heat devices in each room. Choosing a modern boiler for your home heating system can be much more efficient, energy- and money-saving than other options. Our skilled technicians at B&L Ott are experts on boiler-controlled heating systems. They will be happy to speak with you to learn your heating preferences and make the best product recommendations for your home. If you are in need of a quality and reliable boiler in the Berks County area, please contact us today to discuss your options or schedule service.